Mattsson Metal is one of the leading Nordic manufacturers of hot-pressed metal parts of the highest quality. We are a privately owned company with many loyal customers in the construction, automotive and power supply sectors. 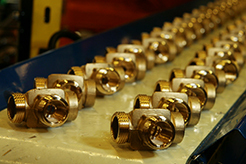 Our company manufactures hot-pressed parts in brass, copper and aluminium, which are then often machined in our highly automated machining facility. Do you need help to develop your product? At Mattsson Metal we have specialists who can can do just that. Contact us and we will tell you more! 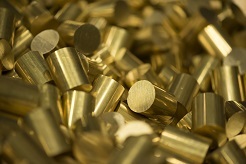 Brass is a non-magnetic copper alloy, in which copper is alloyed with zinc. Other alloying elements can also be added. 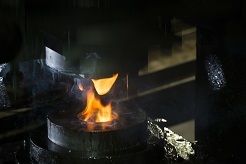 Mattsson Metal handles every stage in the production chain, from blanks to finishing. We believe it is important to give our customers choice.